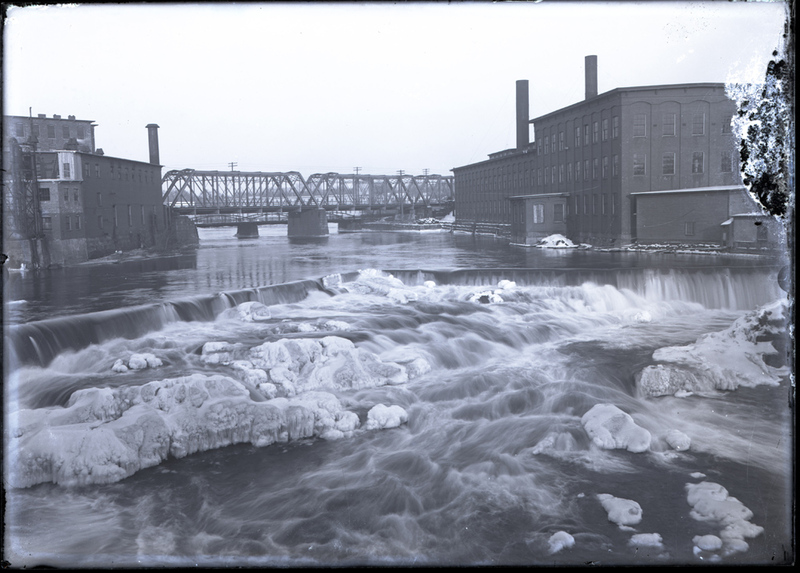 The Saco River during spring thaw rushes between the mill buildings of Biddeford and Saco. McArthur Library is graced with incredible image collections, from photographs to postcards, as well as film and glass negatives galore. We are working to increase access to the intellectual content of these materials, and through digital technology to versions of the materials themselves so that we may preserve and protect the originals for generations to come. We utilize the services of the Maine Memory Network to provide online access to selected images, you can search the entire collection on-line via our LOCAL HISTORY CATALOG. We like to enable GOOD HISTORY here, you know? Happy researching, all!